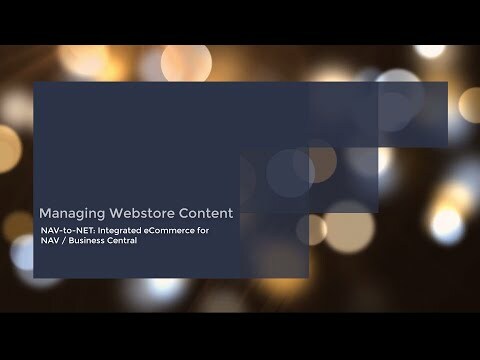 Explore the e-commerce for NAV Business Central video library! We are passionate about being responsible. Responsible for meaningful discussions; for your precious time; for explaining things so well that you find the answers you're looking for. That's why we create these videos. We want to answer your questions as thoroughly as possible, so you can be comfortable in making the right decision for your integrated e-commerce platform for NAV and Business Central. Click here to watch 4-minute ON DEMAND DEMO. For a detailed presentation please request a live demo. Good news for e-commerce store managers and marketing managers. You don't have to be a geeky web designer to manage your webshop content. Let the new unified content manager and its WYSIWYG (What You See Is What You Get) nature of web content management do all the hard work for you! Presenting product variations with dramatically reduced product setup effort! Intelligent search functions help create meaningful online shopping experiences. Parametric Search in Nav-to-Net™ allows customers to shop based on a range of custom search options. Multiple criteria help narrow down extensive product catalogs in the way that customers can find exactly what they are looking for. In this video, see how offering another way to browse yields higher customer satisfaction. 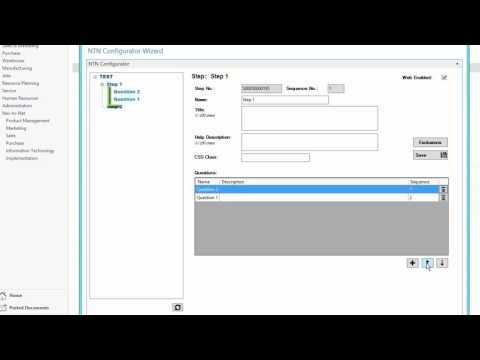 Set up and management in Nav-to-Net™ is quick and easy! Customers want a quote before placing order? No problem. With the Submission Manager in Nav-to-Net™, you create new communication channels for your customers on your e-Commerce website. Dynamically build customized forms from within NAV, with the ability to enable or disable options as required. Use Submission Manager for site surveys, event registrations, price list requests, and more. Submissions are stored in NAV and can be email to multiple recipients. In this video, see Submission Manager in action. Read this blog post for more information. How do you choose which products to promote? The product search ranking feature in Nav-to-Net™ is a useful tool in helping you with that process. Balance presenting your high margin popular items at the top of search results with driving the sales of “older” items or products at the end of their lifecycle. 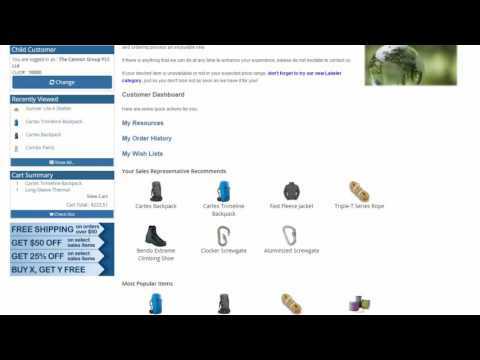 In this video, learn how you can override certain search rankings in your NAV e-Commerce website and how to improve the visibility of your products. Improve your bottom line and supplement your sales strategy with the Sales Representative Recommendations in Nav-to-Net™. 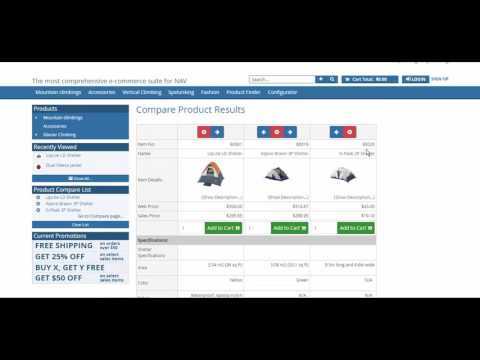 Specially selected products from NAV can be shown upon customer log-in. Personalization for a better online NAV e-Commerce experience is managed by your team in a single user-friendly interface directly in NAV. After working hard to create and maintain a specific brand look and feel, Configurator can match the rest of your integrated webshop. Look and feel is easy to manipulate in Configurator without ever touching code. Themes and layout options are updated in real-time thanks to seamless NAV integration. A product configurator that adds value to your NAV webshop is integrated, customizable, and above all, simple to set up and manage (all within NAV). 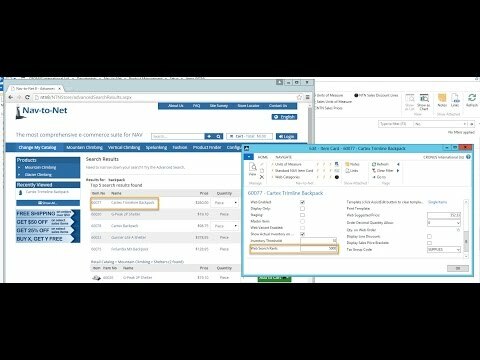 This video briefly shows you how to create steps, questions, and options and structure your configurator. The simplicity allows for greater flexibility and multiple options when it comes to structuring your Configurator to meet all your business needs.